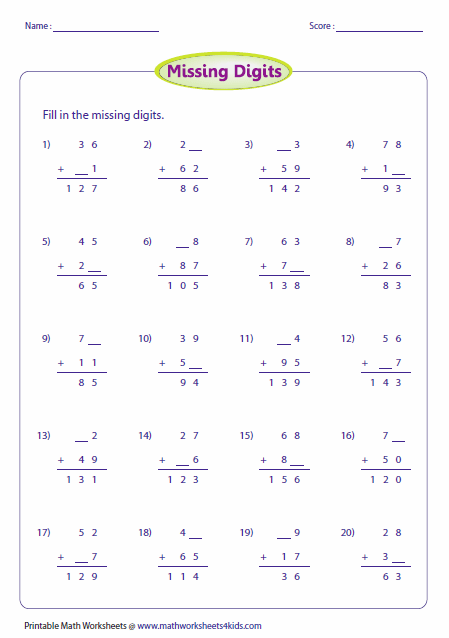 2-digit addition worksheets contain 2-digit plus 1-digit numbers, 2-digit addition drills, addition with or without word problems, addition with regrouping (carrying) or no regrouping, missing digits, and adding 3, 4 and 5 addends. 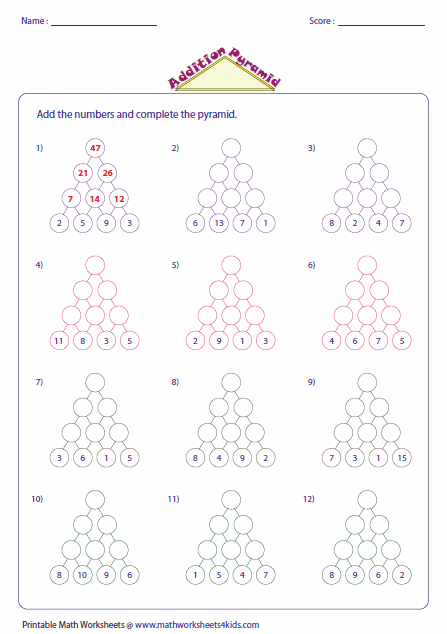 It also contains 2-digit innovative addition worksheets based on base ten blocks, balancing scales, dart-board addition, addition pyramid and matching ice-cream scoops. 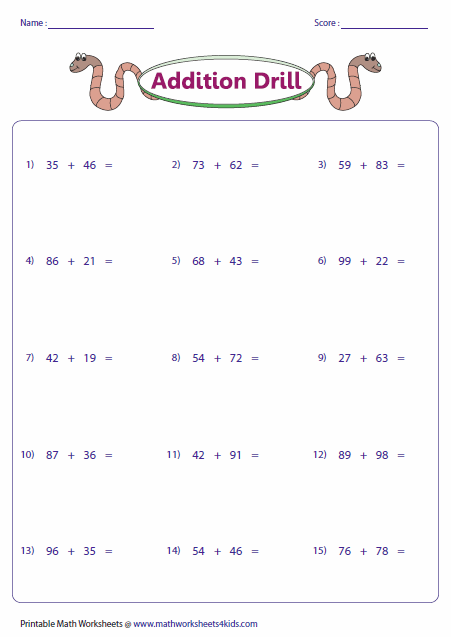 Add two-digit plus single-digit numbers that have sums up to 20. Add double-digit plus single-digit number arranged in a vertical form. 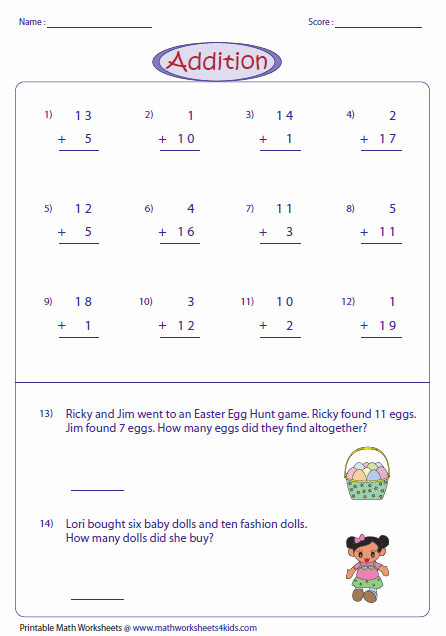 These double-digit addition worksheets help you building up the skills in regrouping and no regrouping addition. 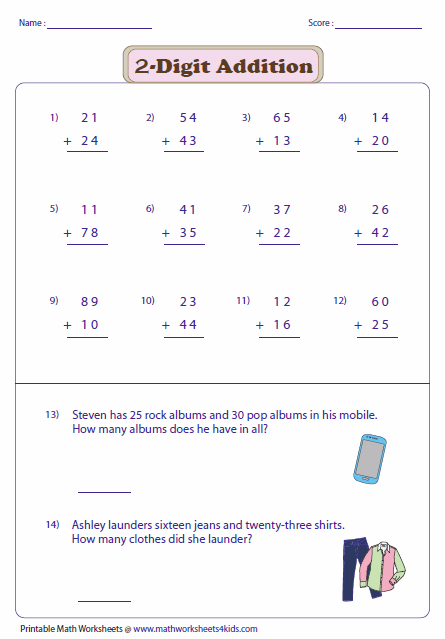 There are 12 standard 2-digit addition and two word problems in each worksheet. This section contains column addition drills with no regrouping addends. Find the sum of the 2-digit addends. Regrouping (carrying) is required. 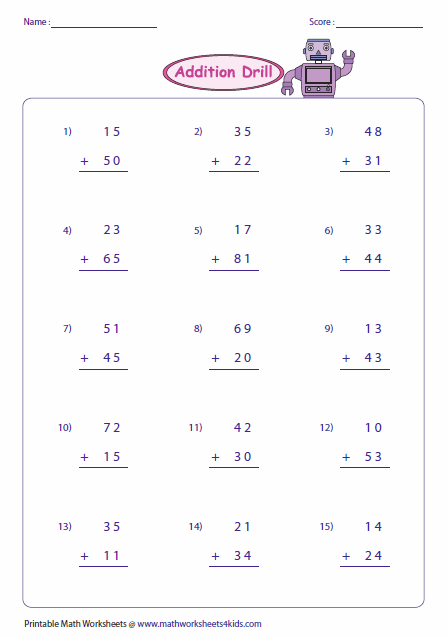 You have addition drills to select from 15 per page to 100 per page. 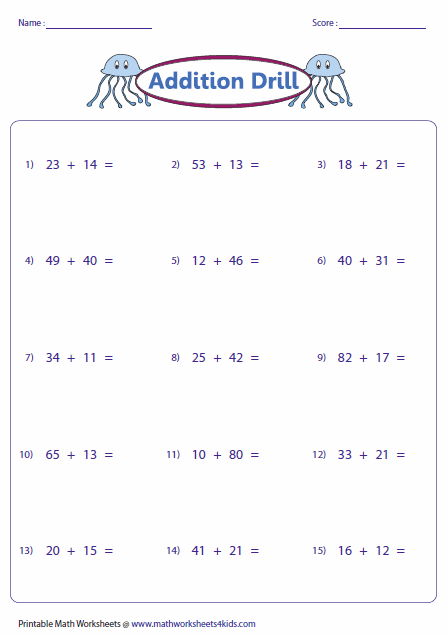 Explore your math skills by solving these horizontal addition problems. 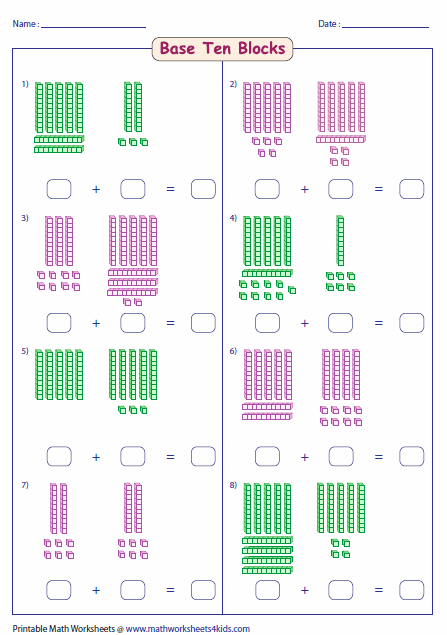 2-digit addition drills in this section contain regrouping addition worksheets with addends arranged along the row. Count the longs (ten's place) and units (one's place). Write the numbers represented by base ten blocks. Add them to find the sum. 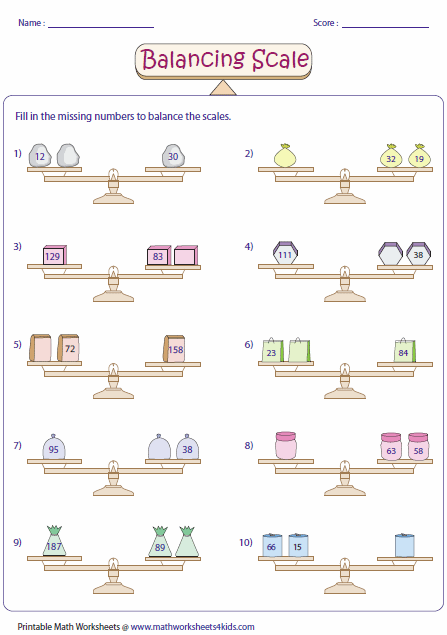 Fill in the missing numbers that balance the scales. Medium level has two items on each side of the balancing scale. Find the missing digit that makes the sum. In each problem, only one digit is missing at the easy level, and two digits are missing at the medium level. Add the adjacent numbers to build up the pyramid. A worked example is shown in each worksheet. 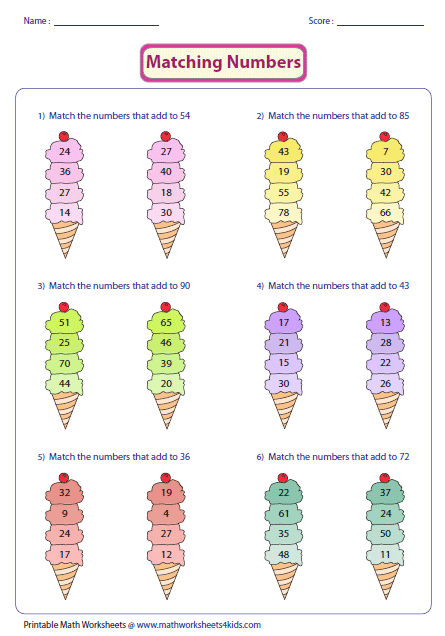 In each problem, you have a pair of ice-cream cones with 4 scoops on each cone. Each scoop carries a two-digit number. Match the scoops that having the given sum. 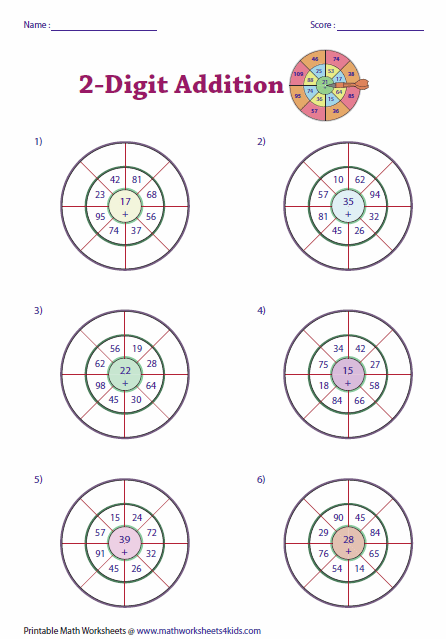 These dart boards themed 2-digit addition worksheets are categorized into three levels. 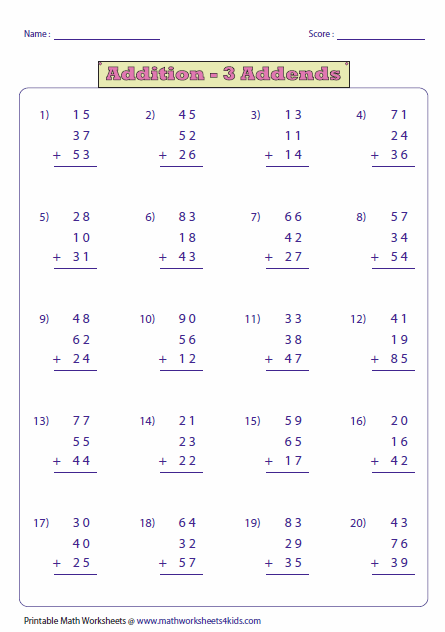 Medium and hard level worksheets contain missing addends. This section contains 2-digit addition worksheets in three addends, four addends and five addends. Addends are arranged along the column.